HOBOKEN, New Jersey (WABC) -- PATH is making adjustments during the Penn Station repairs to increase train frequency between the Hoboken-33rd Street stations during both the morning and evening rush hours, and to cross-honor NJ Transit passengers at three of the busiest PATH stations. The enhanced service and deployment of extra PATH service, operations and police personnel will start on Monday, July 10, from 7-10 a.m. 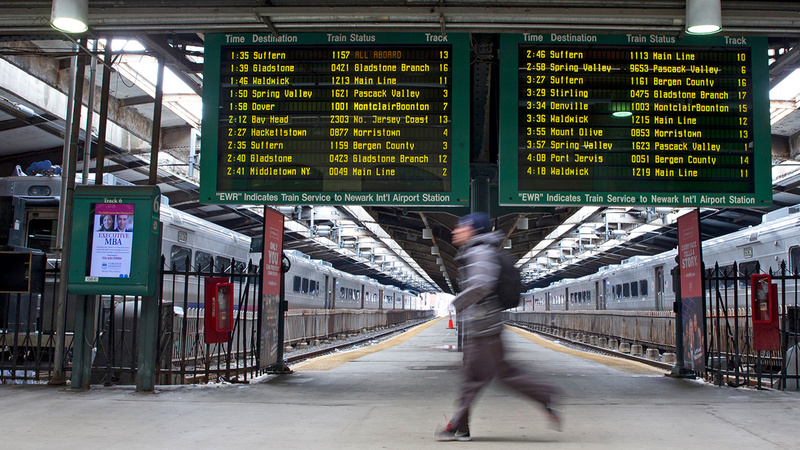 Extra trains and services also will be in effect between 4-8 p.m. for the evening commute. The increased deployments of trains and staff will continue, on weekdays only, throughout the project, which is expected to last into September. PATH intends to cross-honor affected NJT customers on weekdays only at the Hoboken, 33rd Street and World Trade Center PATH stations. Riders will need to produce their NJT rail tickets to be cross-honored at these PATH facilities. Extra PATH personnel and Port Authority Police will be on hand at the those stations, Cross-honoring will not be in place at the Newark Penn Station facility, where NJT is maintaining normal service. More information on the service changes and cross-honoring process is available at www.panynj.gov/TheUpdate. You can find more information and continuing updates from Eyewitness News at abc7ny.com/pennstationrepairs. Also get alerts by downloading our Eyewitness News app. Join our Facebook group to share your stories and in the discussion.